A guide to plans for the UK to leave the European Union. Feeling a little lost about what's going on with Brexit? Here's our basic guide. 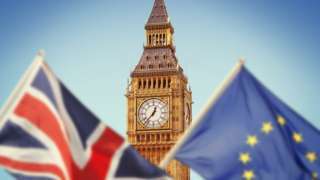 Members of Parliament (MPs) will vote next week on the Brexit deal that Prime Minister Theresa May has negotiated. With the Commons finished for the day, that's it from us until after Christmas. Today began with questions to trade and equalities ministers, before shadow housing minister Melanie Onn asked an urgent question on new statistics about deaths among homeless people. 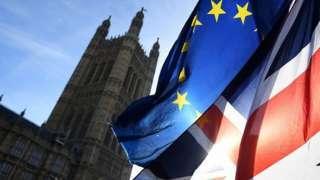 Commons Leader Andrea Leadsom then gave the business statement, repeatedly stressing that MPs will get to vote on the government's Brexit deal in the week beginning January 14. Following that, MPs debated the UN report on the Rohingya refugee crisis, as chosen by the backbench business committee. Parliament returns on Monday 7th of January, do join us then...and have a happy Christmas. Bringing the day to the end before MPs head home for Christmas, Labour MP Clive Efford is leading the short adjournment debate. The focus of today's debate is the Source NHS drop-in centre in the Horn Park Estate, which is in Mr Efford's constituency of Eltham, east London. She says the minister has "very ably" explained the complexities of the issue, but asks "if not now, when?" "We are absolutely determined that the government takes much stronger action and reports back every few months with results, rather than having to go round and round in circles", she says. "Genocide cannot be taken lightly. This is why we must act." Foreign Office Minister Mark Field says Bangladesh has shown "immense generosity" in hosting so many Rohingya refugees. He says many he has spoken to want to return to Myanmar, as long as they can get guarantees that they won't be persecuted. He says he has told the foreign ministers of Myanmar and Bangladesh that the UK believes not enough is being done to repatriate Rohingya refugees. The UK has so far given £129m in assistance, he adds. The government will "try" to bring a motion forward at the UN, but there are some "fundamental strategic difficulties" which may prevent that, he tells MPs. He says this will be a "very long journey" but the UK "will stay the course" for the people of Myanmar. Winding up, shadow foreign office minister Helen Goodman says the government must respond to today's debate "in full, with action". She was "alarmed" when she heard that discussions had been held between the Bangladesh and Myanmar about repatriation of the Rohingya, in which case she says the main question is: "are the conditions right for a safe,voluntary and dignified return?" MPs have today sent a "resounding no", she says, and the big question is what should be done now. "Everything we know about the Myanmar government suggests that we cannot have confidence in an internal inquiry, she says. Labour "believe that it is now time for a UN Security Council resolution referring Myanmar to the ICC [International Criminal Court]". She says she understands this is likely to be rejected by other members, but it's important to stand up for what the UK believes. Sanctions should be extended, with assets frozen and individuals travel further restricted, she adds. The SNP's Patrick Grady says the Scottish government expects "all states to comply with human rights law", and backs EU and US sanctions against Burmese military figures. "It is clear that further support is needed for the authorities and first responders in Bangladesh," he says. He adds that it has been suggested that "barely half" of the funding required for these refugee camps has been provided. "We keep saying it must never happen again, yet, here we are," he says, referring to previous instances of such crimes. DUP MP Jim Shannon says the international community has taken "woefully insufficient" action to resolve the crisis or bring the perpetrators of violence to account. "If there's a war crimes tribunal, I'll be the first person in the queue to give them a good going over", he says, adding: "it is absolutely despicable what's been going on." The British government must push Myanmar to grant the Rohingya citizen rights as soon as possible, he says, requesting to know what has been done on this by the government. He urges the minister to "take this case to heart" and to take action, as the UK has a responsibility to do. "There are hundreds of thousands of people looking towards us, praying for relief", he adds. There have been discussions throughout this year between Myanmar and Bangladesh about repatriating Rohingya refugees back to Myanmar. Officially, the two countries want to see this process completed by 2019. A breakthrough came in June, when Myanmar saw progress on registering all refugees in camps around Rakhine state. Only a tiny number of refugees have so far returned to Rakhine state, all of them apparently not through official channels. Spokespeople for the Rohingya say that issues on citizenship need to be addressed before they return. They are also requesting an international security presence, and proper restitution for their loss - conditions which have so far not been met. Rohingya have continued to cross into Bangladesh during 2018, albeit in smaller numbers. Concluding the debate, Conservative peer Lord Sheikh says he is pleased that numerous peers have raised the point that people of other religions "must stand by the Muslims". Lord Sheikh says everyone should be accepted in the UK, no matter their faith or race, and that he is pleased that the government has agreed to look into adopting an official definition for Islamophobia. He says it is clear that the issue needs to be researched in more detail, and he hopes the government will do this. The Rohingya, who numbered around one million in Myanmar at the start of 2017, are one of the many ethnic minorities in the country. Rohingya Muslims represent the largest percentage of Muslims in Myanmar, with the majority living in Rakhine state. They have their own language and culture, and say they are descendants of Arab traders and other groups who have been in the region for generations. But the government of Myanmar, a predominantly Buddhist country, denies the Rohingya citizenship and even excluded them from the 2014 census, refusing to recognise them as a people. It sees them as illegal immigrants from Bangladesh. Communities Minister Lord Bourne of Aberystwyth says the work of the British Muslims all-party parliamentary group will be being brought forwards in the new year. He says an agreed definition of Islamophobia "will make things better", but needs to be thoroughly discussed. The government is teaming schools situated in areas with a particularly diverse range of faiths with each other to ensure a wider education on religion, he says. Lord Bourne says the diversity of the UK should be celebrated, adding that Islamophobia is "shameful" and something the government wants to combat. Labour MP Imran Hussain - who represents the constituency with the largest number of Rohingya residents in the UK - says the persecution of the Rohingya is not new, but has reached new highs. He calls the treatment of the Rohingya in Myanmar - also known as Burma - is a "textbook example of ethnic cleansing". He says Rohingya "faced murder, their friends and relatives cut down by gunfire, knives and machetes, and whatever else soldiers and thugs could get their hands on". He says he asked the government to condemn the action in August last year, and "even today I cannot think of one occasion when the government has condemned it." Minister Mark Field intervenes to say the government has condemned senior figures of the Burmese military, but "it's all very well to condemn...we have a range of other actions...condemnation is never enough." Mr Hussain says the Burmese government must be held to account with the full power of the international community, with the leaders sent to the International Criminal Court. No longer can the UK "hide from our global responsibilities", he says. Summing up the debate for Labour, Baroness Chakrabarti says "racism is on the rise" and Islamophobia is "too often in particular denied in our politics and media". She says there is a value in working towards a widely accepted definition of Islamophobia, and thanks the all-party parliamentary group for their work in this area. She tells peers that people "should be able to criticise Islam", but that Islamophobia is about a "hatred for those who practice that faith". "Hating someone is not the same as critiquing ideas, and it is completely unacceptable", she adds. She says that even though Muslims can belong to any race, Islamophobia is "rooted" in racism and she therefore supports this part of the group's definition. Crossbench peer Baroness Afshar says it is regrettable that Islamophobia is emerging in the UK, a country that has welcomed people from all walks of life. She says the UK has been "pioneering" in the collaboration of different cultures, quoting the example of fish and chip shops serving curry sauce. Baroness Afshar questions what other steps the government is taking to combat hate crime against Muslims, noting that individuals in her community are being "demonized in the name of religion". Conservative MP Paul Scully says because the Burmese people are largely in favour of the ejection of the Rohingya from their country, the military are able to hide behind ideas of being a popular movement and rule out any criticism as Western propaganda. He says the UK needs to "cut through" this and tell the Burmese authorities that whilst "we will help you in terms of building up the rule of law...we will always, always call you out when you are just breaking in any certain sense of international law and human rights". It's vital that those responsible are held to account, he says, but also that an end to the conflict can be reached and that the country is able to move on. Non-affiliated peer Baroness Uddin says "knee jerk policy reactions" threaten the safety of Muslims in many parts of Europe, leading to the "social exclusion of a whole community". She says it was "alarming" when in 2015 David Cameron "inferred that if Muslim women spoke more English it would reduce extremism". The office of equality and social justice has more to do, she adds, noting that people have been made to think there is a link between Muslims, separatists and terrorists. Baroness Uddin says the work by the British Muslims parliamentary group is "timely" and urges the government to listen to what they have to say. Labour MP Stephen Twigg, who chairs the international development committee, says the current crisis in Myanmar is the result of "decades of marginalisation and persecution" of Rohingya. He says members of his committee were fused entry to Myanmar to see the areas affected. He says when a plan to repatriate refugees was announced in November, "many of the refugees went and hid in the surrounding forests, at least one committed suicide". He says that buses arrived at the camp and refugees were offered food to return to Myanmar if they got on the coaches, but the buses returned empty. When refugees return, he says, it must be "safe, voluntary and dignified". Theresa May will ask to postpone Brexit until 30 June - but the EU is expected to want a longer delay. Pausing again angers many on the PM's own side, but it's a lesser evil than departing with no deal. 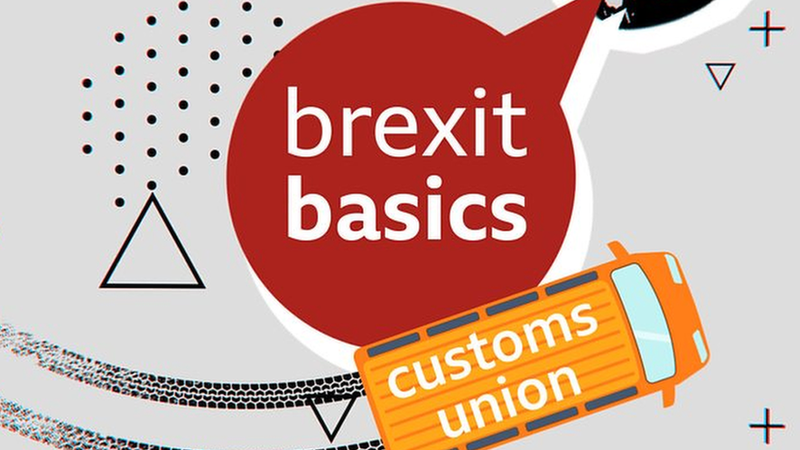 What is the customs union?